When Dénes Várjon first visited New Zealand two years ago, his was not a familiar name, despite being one of Hungary’s most distinguished musicians. His playing at the Adam Chamber Music Festival in Nelson and in Waikanae proved to be a revelation, and his return visit is eagerly anticipated. Sought-after internationally as a recitalist and concerto soloist, he is widely considered to be one of the world’s greatest chamber musicians, working regularly with such eminent partners as Steven Isserlis, Joshua Bell, Tabea Zimmermann and András Schiff. His many recordings have earned praise, most recently when his solo album ‘The Night’ was named Record of the Month by BBC Music Magazine, while his recording with cellist Steven Isserlis earned a similar distinction from Gramophone magazine. These two awards closely follow the honour of Germany’s Opus Klassik prize for a CD with Tabea Zimmermann and Jörg Widmann. 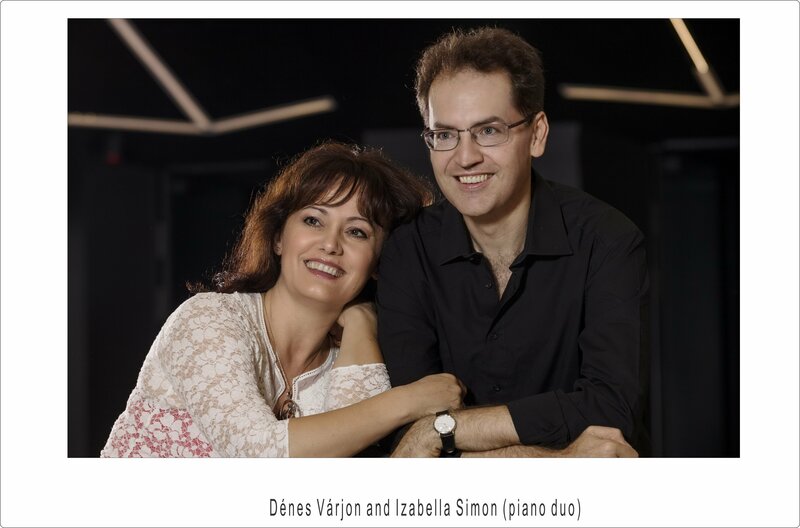 Dénes also performs frequently with his wife Izabella Simon in four-hands and two-piano recitals and together they have organised several chamber music festivals. Their concert for us will comprise a first half of duets including some favourite repertoire by Schubert and Debussy, followed in the second half by a rare performance of one of Beethoven’s greatest and most challenging late sonatas, the Hammerklavier.